STEP 1 Make the jelly as directed on the box. STEP 2 Once set, use a knife to cut the jelly into 3 cm chunks. STEP 3 Place the thickened cream into a bowl and whip until very thick. Spread custard over the base of a large, shallow serving dish. Top with layers of cake, mascarpone mixture, jelly and berries, drizzling with reserved syrup. Sprinkle with praline. Serve. 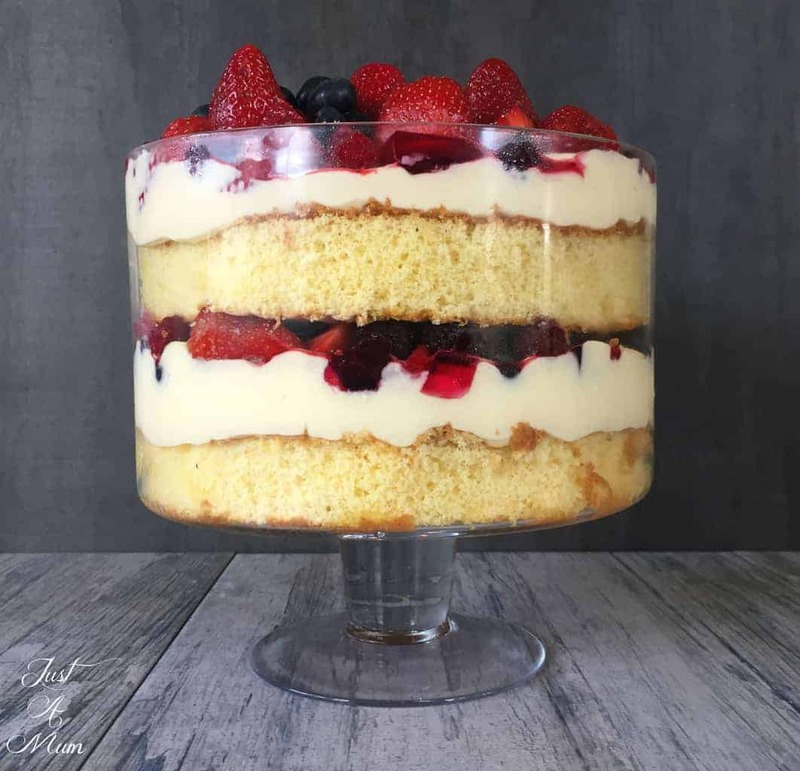 Top with layers of cake, mascarpone mixture, jelly and berries, drizzling with reserved syrup.